This is Tara Stewart taking a picture. Tara is flamenco aficionado, professional filmer and video editor. She shoots and edits all video’s for Guitar Salon International, my dealer in the USA. A couple of weeks ago Tara came to Amsterdam for a holiday and brought her camera. She visited my workshop where I happened to be working on a new guitar for GSI! 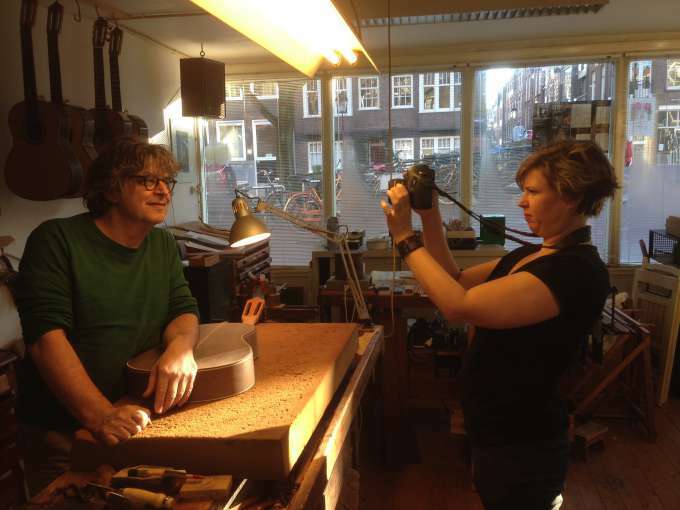 She took pictures and filmed and the beautiful result can be seen in GSI’s blog post Coming soon Otto Vowinkel. 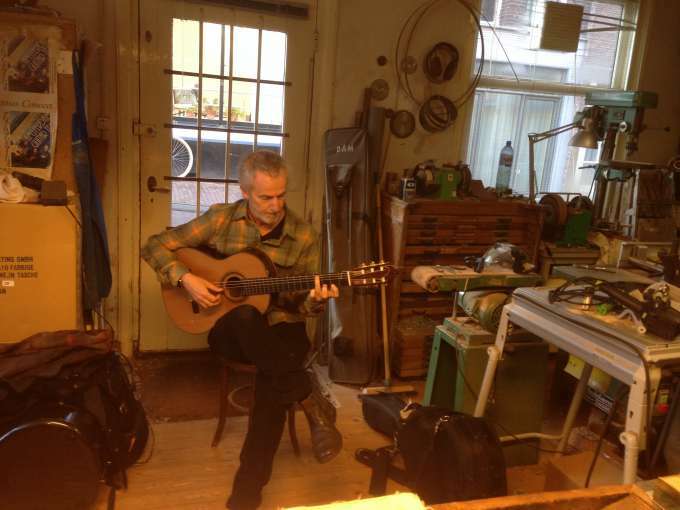 While she was busy working, her boyfriend, Los Angelos Guitar Quartet member John Dearman, tried a new ceder top.